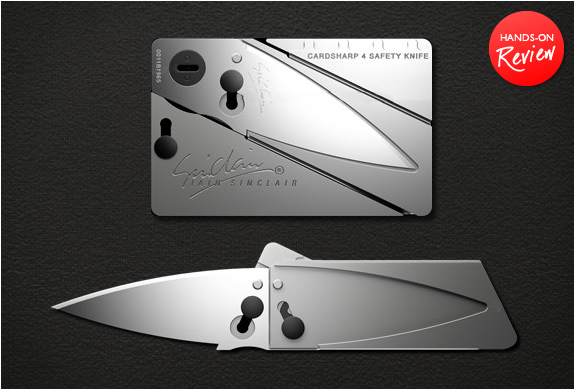 We have been big fans of the popular Cardsharp by Iain Sinclair since the very first version, now the British design house have sent us their latest updated version, the Cardsharp4 for a closer look. 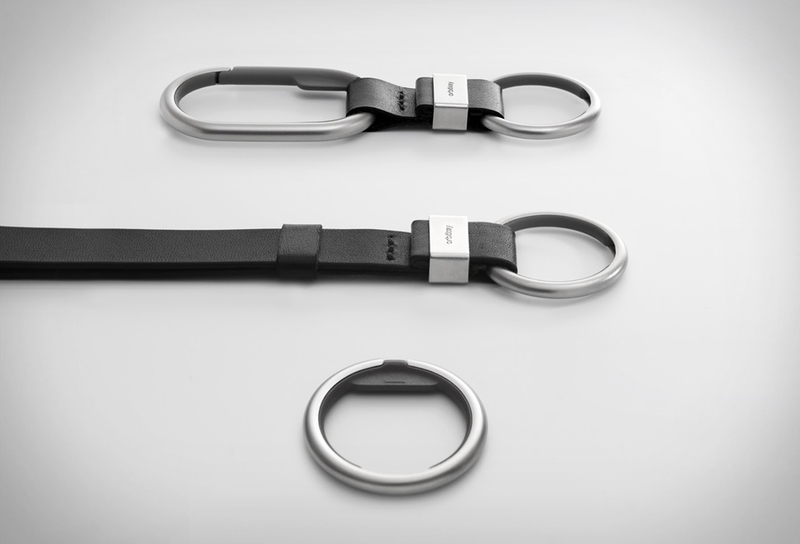 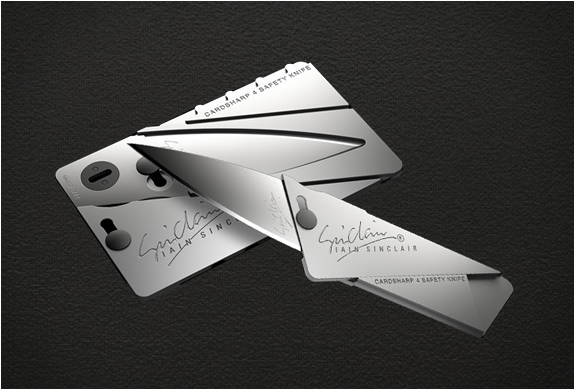 With only three ingenious origami style folding operations, the James Bond style credit card sized gadget converts into an elegant pocket utility tool. 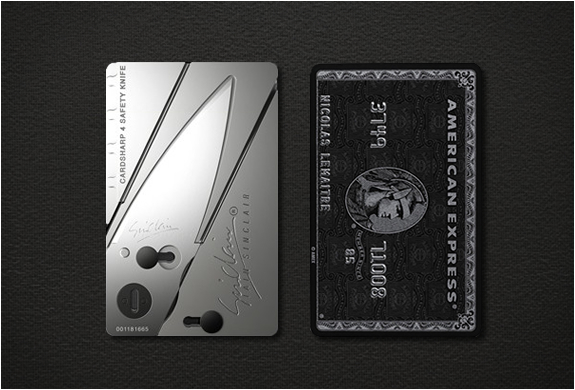 The latest Cardsharp is made from a robust and strong wafer thin strip of ultralight aluminum, and has some new and updated features, including a new construction with a two-stage, child-proof safety lock that helps prevent accidental opening and gives the knife excellent rigidity in both open and closed positions. 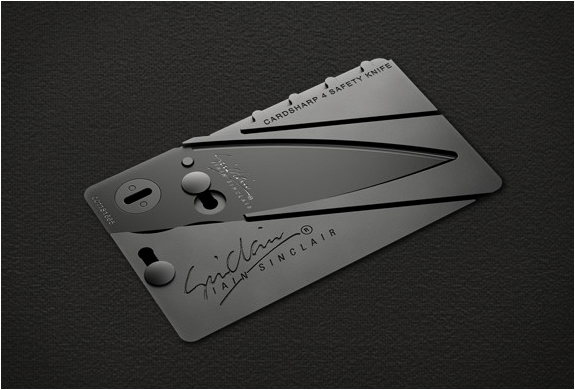 It also includes a new improved rivet for better securing the blade to the body, and thanks to the new spring-loaded hinges, Cardsharp4 remains flat while in card mode with no sagging. 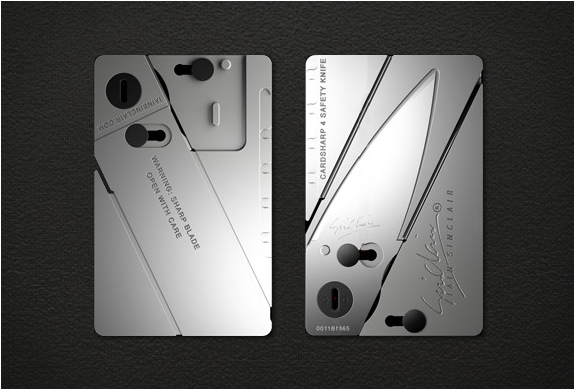 Cardsharp4 weighs only 24 grams, it is slimmer and lighter than an ordinary knife, and slips safely inside your wallet or kit bag. 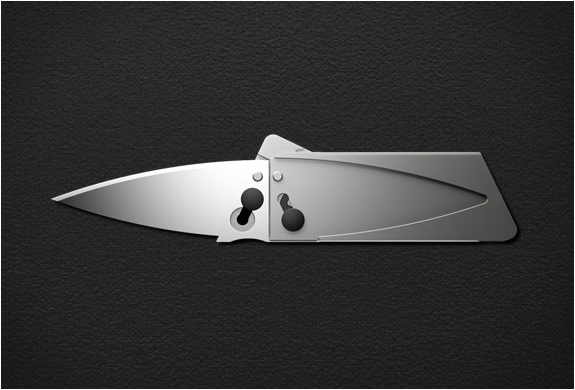 It´s extra long stainless steel surgical blade (65mm) ensures longer lasting rust free sharpness, and is capable of slicing trough a variety of materials with ease. 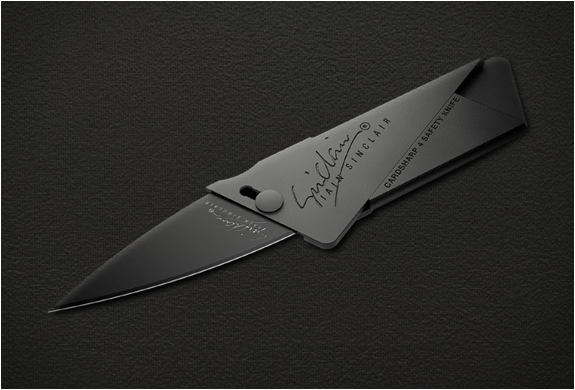 Available in either Natural Metal or Black Metal, the waterproof Cardsharp4 is a tough heavy duty tool suitable for most types of cutting tasks, and an essential outdoor companion/survival tool.